You can highlight some of your products as Featured Products in your store. 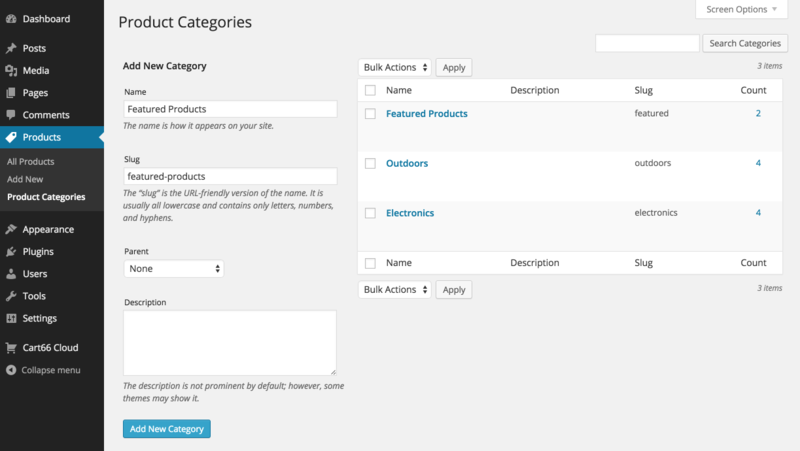 Log into your WordPress admin and click on the Products -> Product Categories link. Enter in the name and slug for your new category like this. 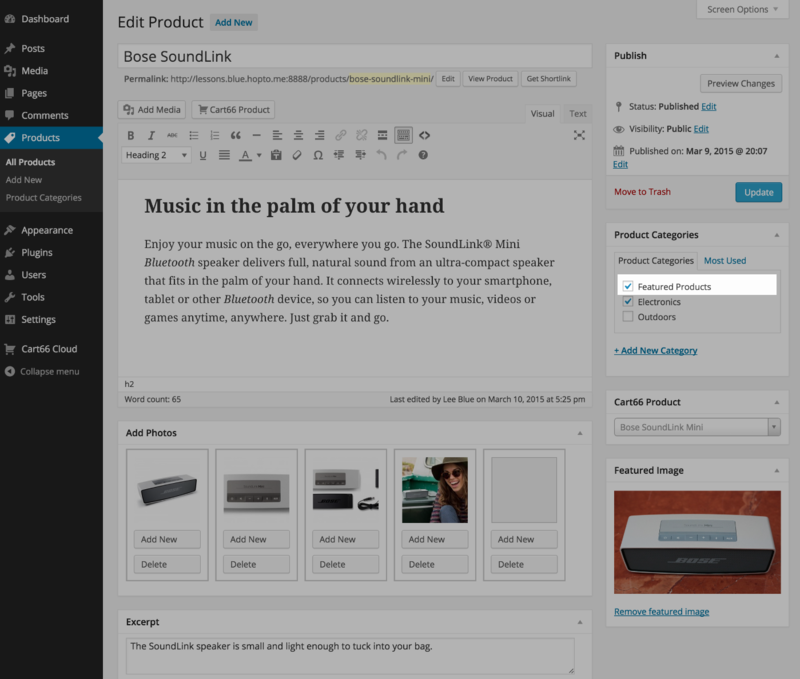 Edit a few of your products and assign the ones you'd like to highlight to the Featured Products category. There really is no featured product short code, instead you just use the cc_product_catalog shortcode and only show the products in the featured products category. The title of the section is listed in the shortcode. If you don't have any featured products then nothing will be shown at all. If you do have at least one featured product then Featured Products will be listed as a heading over the display of your featured products. You may want to only show the first three featured products regardless of how many products you have assigned to the Featured Products category. To do that, use the limit parameter of the shortcode. See this article for more information on working with the catalog shortcode.